Made to measure blackout blinds the perfect choice for privacy and a good night's sleep. 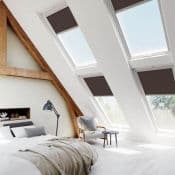 Our black- out fabrics are ideal for significantly reducing the light levels of a room whilst offering extra insulation. We offer a huge choice of opaque fabrics with properties that make them ideal for your bedroom, living room, bathroom or kitchen. 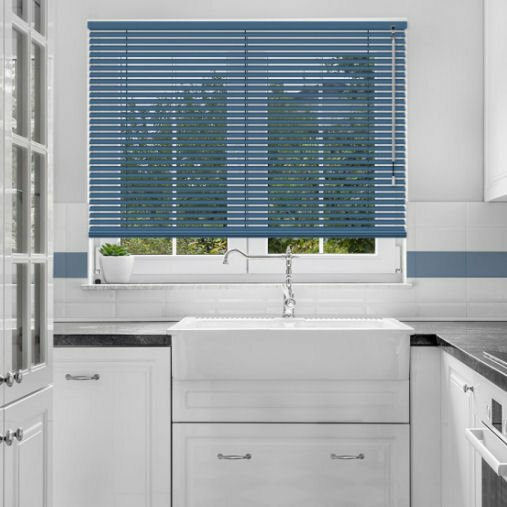 Wooden Venetian blinds offering classic beauty for both warmth and fantastic light control. Select from a huge range of gloss, matt and textural stained finishes with tape options available that will enhance the blind for a perfectly finished look. We also offer a fantastic range of faux wood colours with waterproof and flame retardant properties. 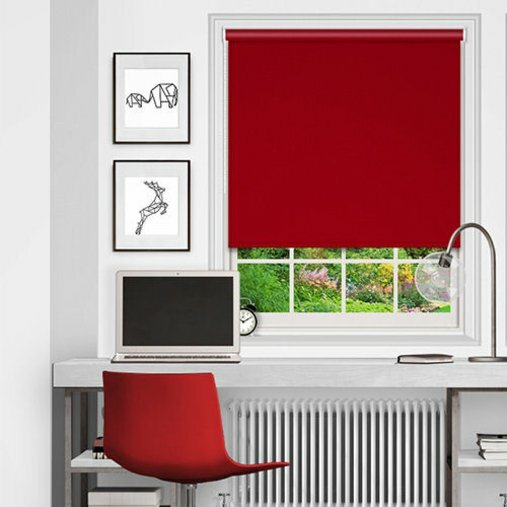 Our made to measure Roller blinds are perfect for adding a simple style to your window covering that will give your home a truly remarkable look. Custom design your roller blind with a choice of shapes, braids or pole options. Beautiful collection of fabrics from plain to semi opaque or sheer to floral & textured designs. Choice of chain or spring loaded tension control. 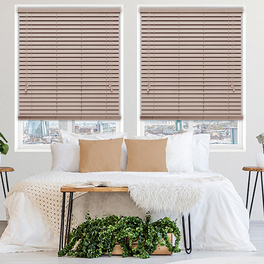 Aluminium Venetian blinds offer a versatile and stylish way to filter out light entering into the room by tilting the horizontal slats to the proffered angle. Blinds can customised by colour and manufactured to very wide widths up to 400cm. Huge choice of 15mm, 25mm, 35mm & 50mm slat widths to choose from available with wand and cord control. Check out our Clip to Fit Venetian, Pleated & Honeycomb Blinds at incredibly low prices. Perfect Fit Venetian Blinds, 25mm horizontal slats fitted into a frame. Quick and easy to install child safe blinds. Thermal blinds the perfect solution for energy saving & for providing great insulation throughout the home or office. No drill framed blinds for UPVC Windows. The range features quality plain, patterned and waterproof pvc fabrics. No drilling involved with these blinds; they simply clip onto the PVC Window. 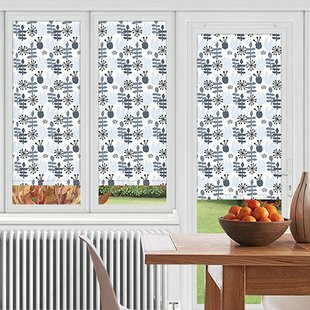 INTU blinds require no drilling or screw fixing making the installation quick. INTU Roller blinds designed to fit perfectly into the frame of windows. Freehang & Multizone 20mm Pleated blinds, perfect for keeping rooms cool. The Top Down, Bottom Up function on the Multizone option allows you the to operate the blind both at the top and bottom. No drill required with these Perfect Fit Roller Blinds the solution for Upvc windows. These are framed roller blinds that just simply click into the rubber beading for an easy fit. 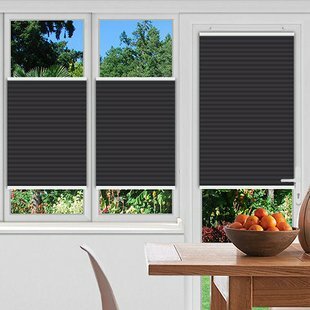 Vertical blinds are perfect for controlling the direction of light entering the room and are ideal for wide windows or patio doors. 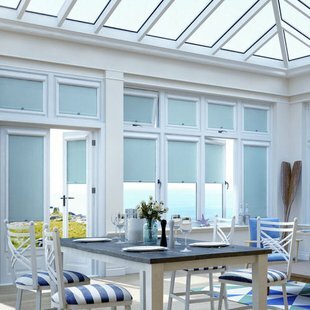 We offer a wide range of performance fabrics including flame retardant, blackout, dim out, sheer, solar reflective and glare reduction in 89mm or 127mm slat widths. This modern blind allows both privacy & light control with the simple shifting of the fabric that acts as a double roller blind. Striking and practical the Duorol is available in a choice of fabrics and offered with headrail colour options and matching bottom bar. White Wooden Blinds available with cord or tape options and the perfect window dressing for a clean look within the home. Huge slat colour choice including shades of Cool White, Off White, Soft White & White Gloss. Free samples available to order online with huge savings on all white wood blinds. Faux wood wooden blinds that have the look of real wood & perfect for fitting into a kitchen, bathroom or bedroom. Checkout our amazing low prices and make huge savings today. Grey Blackout Blinds, stylish & practical fabrics ideal for home interiors. Popular grey fabric colours include Ash, Dove, Zinc, Charcoal & Cumbria Flint. Grey fabrics available to buy online today with huge savings! Available to buy online at super low prices! Check out these amazing fabrics and make huge savings today with some of the cheapest prices for made to measure blinds to be found online. 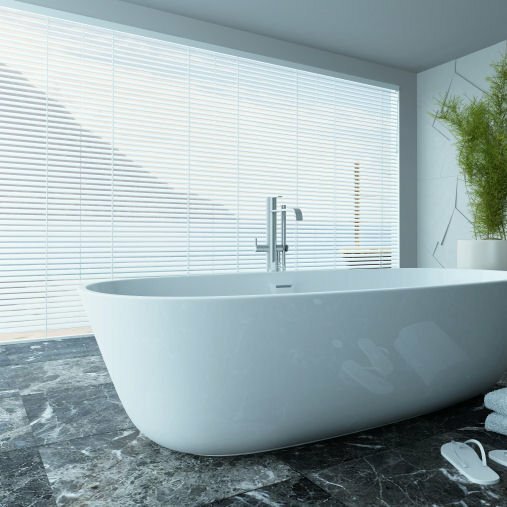 Uniwand privacy venetian blinds that combine the tilting of the slats with the raising & lowering of the blind through a mono control. Child safe blinds supplied with mono-wand safety cleat. 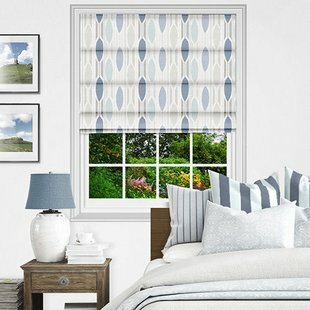 White Blackout Blinds with free sample fabrics. 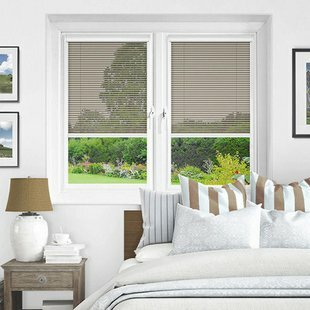 Huge choice & great prices on white blackout blinds ideal for bedrooms, kitchens, living rooms & bathrooms. Cheap Venetian Blinds, quality custom made from robust aluminium hardware. 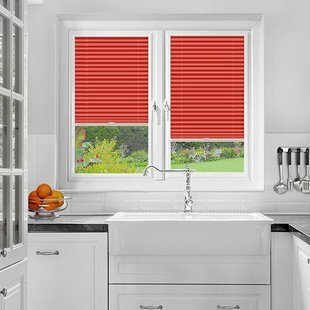 Shop for horizontal blinds offered in a choice of 15mm, 25mm, 35mm & 50mm aluminium slat sizes. Free samples available to order online today. Cheap Vertical Blinds available in choice of 89mm & 127mm louvre size. Quality made to measure vertical blinds at cheapest prices. Cheap Roller Blinds available to buy online with huge savings to be had. These custom designed roller blinds are made here in the UK f& delivered to your home from the factory. 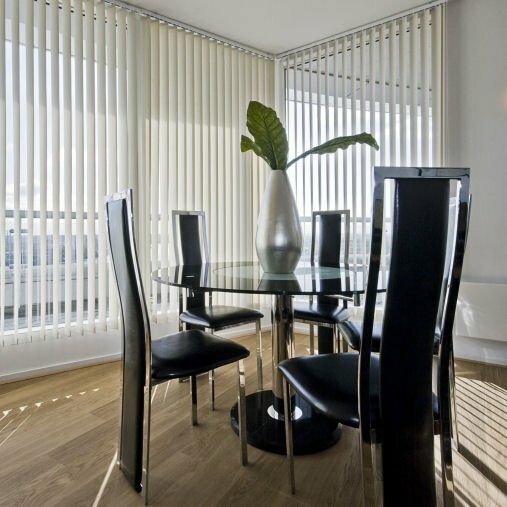 White Venetian blinds in different colour tones, finishes and slat widths. The range includes aluminium finishes in matt white, gloss white, opal white and sheen white. Buy blackout roller blinds for Fakro skylight windows at very low prices. Selective range of our best selling & cheapest wooden blinds sold online. Delivery direct to your home or workplace. Order samples to see what the fabrics look & feel like. At Blinds4UK you'll find the most comprehensive portfolio of window treatment solutions with unlimited design choices to compliment your interior style. 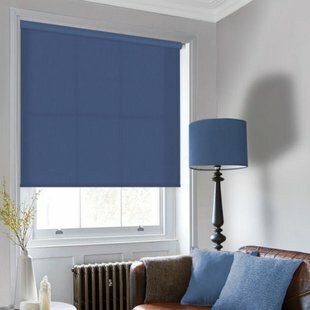 Customer service and your complete satisfaction is our number one priority and that is why we only work with established and reputable UK suppliers to offer you quality blinds and shades at the best possible price. 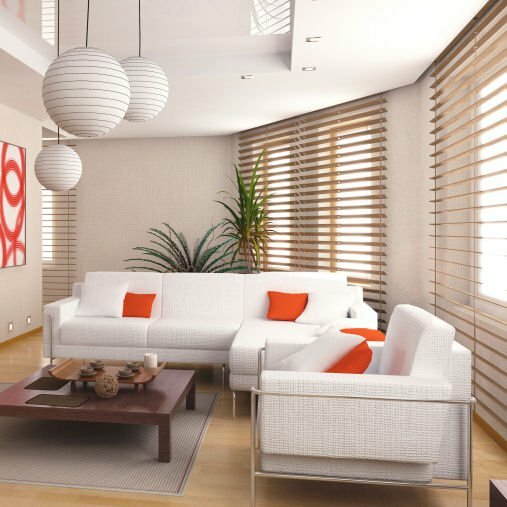 Bring your home to life with custom made blinds. Our collections have been brought together to reflect the latest styling trends with fantastic designs that will beautifully compliment your home interior. Our design experts are here to help you select the perfect window blind at the best possible price and enjoy a no hassle shopping experience. 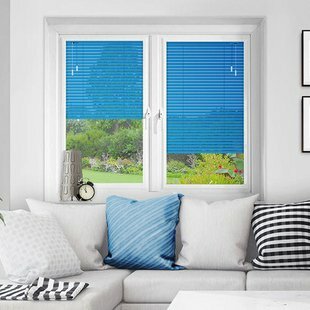 Ordering online is fast and simple, with made to measure blinds packaged and delivered direct to your UK home or office within 5 working days. 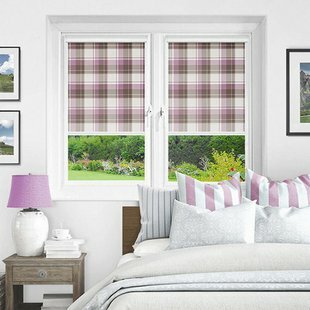 Fantastic service from start to finish (Order to Delivery) Great ordering online, samples, product description, customer service, delivery and product quality The blind is now installed and works as intended. Looks great. A little more expensive than competitors so I hope it lasts ! Extremely pleased with the blind we ordered. Easy to order, great product and very fast delivery. Excellent packaging no chance of damage to product. Excellent service. Original Order was out of stock so they sent samples the next day to choose from. Blinds were the 5mm faux wood which fit and look great. Excellent value for money. Would definitely use blinds4uk again.